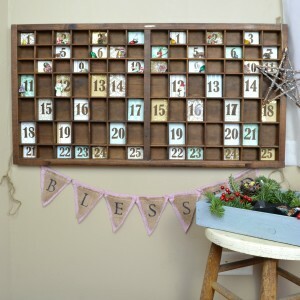 Welcome to the 12 Days of Christmas Blog Hop! 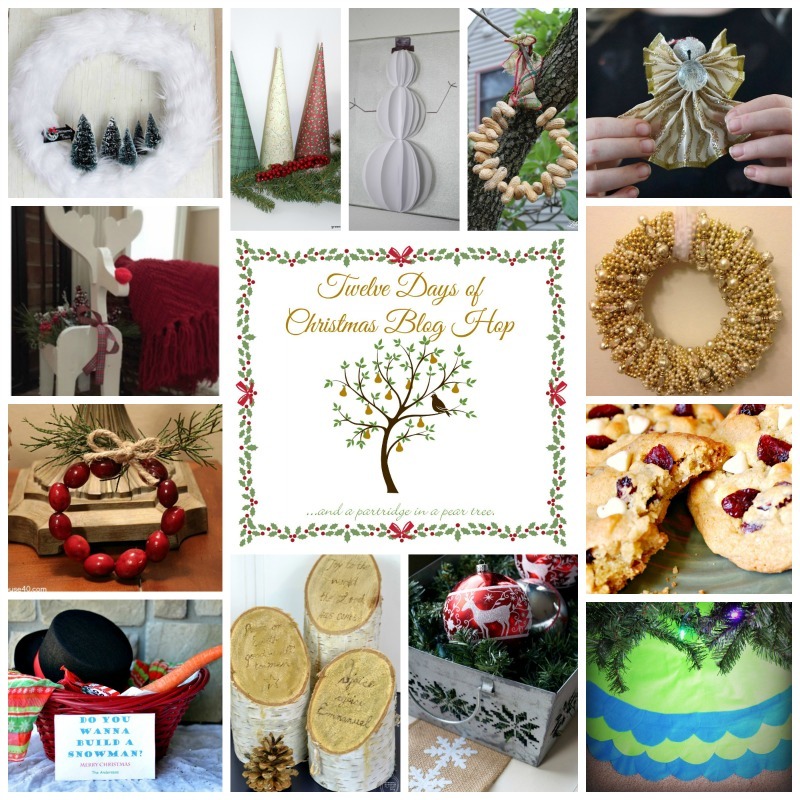 From December 1st to December 12th, Danielle from Creatively Homespun will be hosting 15 AMAZING bloggers that are all showing off some of their favorite Christmas creations. 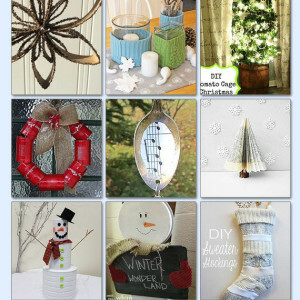 Get prepared to be awestruck with some incredible recipes, DIY projects, and gift ideas! Each day at least one blogger will be sharing a project of their choice. 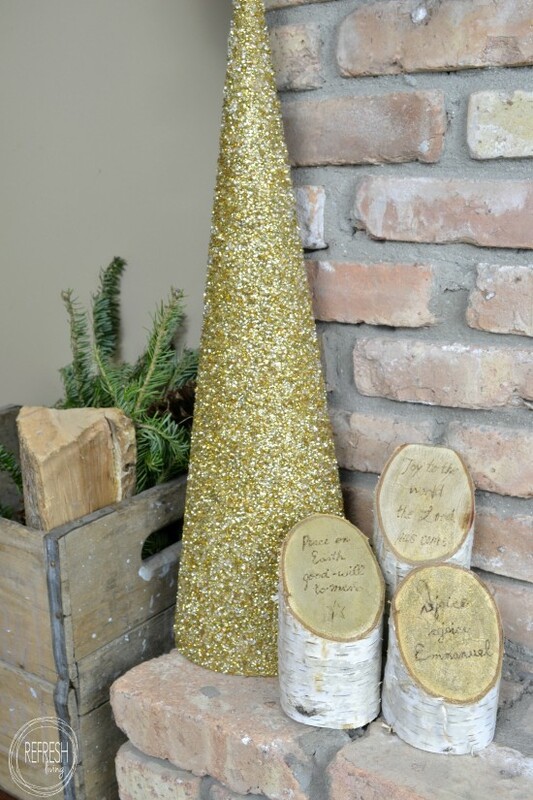 We can say with full confidence that you are sure to find something to inspire you for this joyful holiday season. 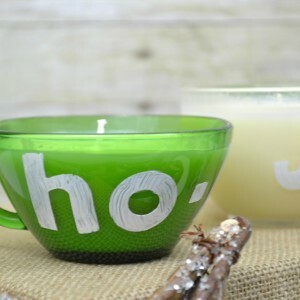 Today, on this “5th day of Christmas”, I’m busting out the Christmas songs and including them in my home decor. 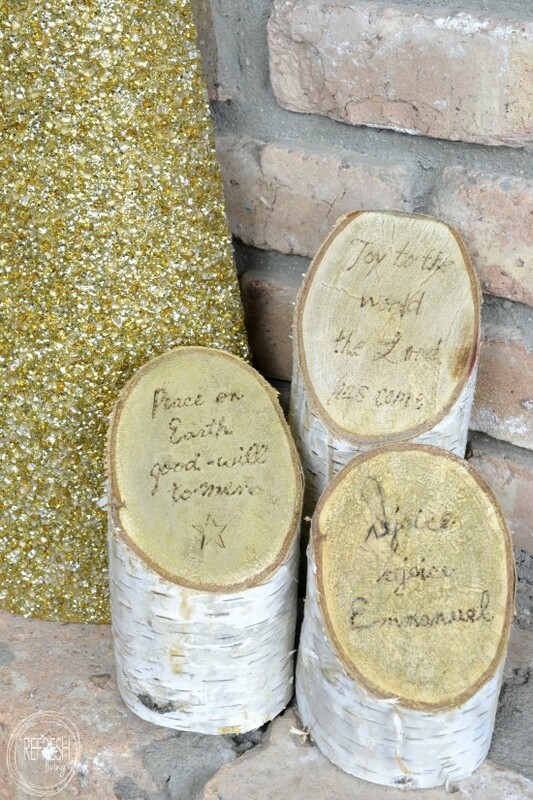 I took a few of my favorite Christmas lyrics and added them to some birch logs. I’ve been using birch logs a lot lately. I can’t seem to help myself – I have them laying around and I got them for next to nothing. I shared all my secrets for buying birch logs here, in case you love birch wood as much as I do! For these pillars, I used a basic image transfer technique to make sure my letters didn’t look like chicken scratch. Basically, you print the words using an inkjet printer. Then, shade the back of the paper with pencil. 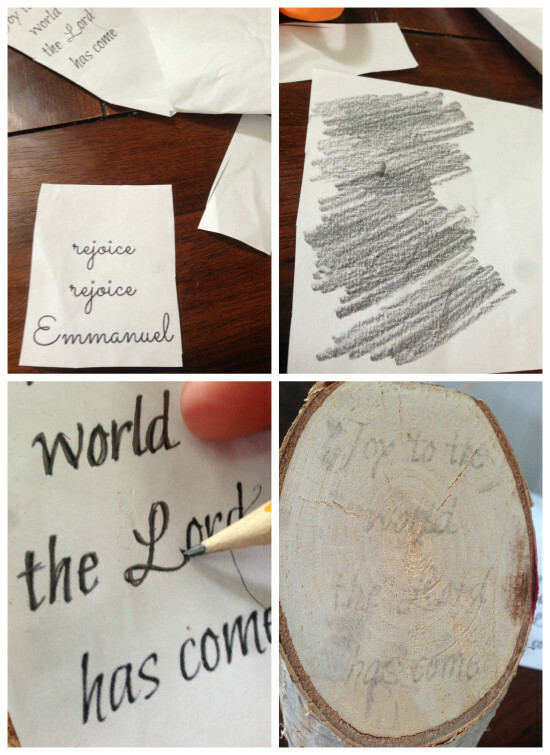 Trace over the letters with a pencil, and when you take it away, you’ll see a faint tracing of the letters. 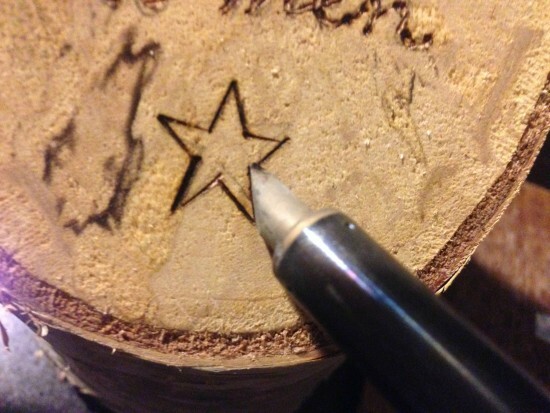 I decided to try out my wood burning tool (I also use this to heat-seal cut ribbons to stop them from fraying and for cutting stencils) to make the letters. I had the wrong attachment for it, so it was a bit frustrating and didn’t turn out quite as perfect as I’d like. You could easily just use a paint pen to write the lyrics on the logs, too (which in hind-sight is what I think I should have done). 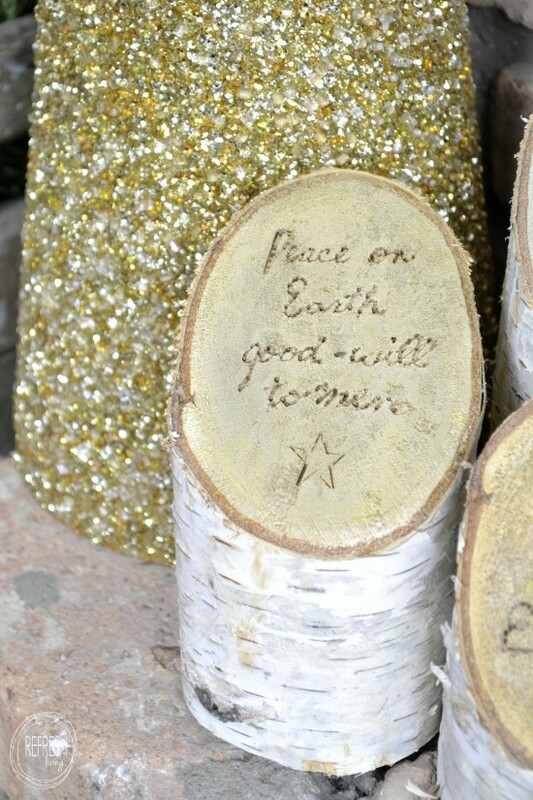 I added a little bit of gold gilding wax to bring a little shimmer to the tops of the logs. They’ll be easy to move into other areas of my home as I decorate for the holidays. In fact, I should probably move them away from the fireplace, because my daughter loves to help by throwing stuff in the fire. I hope you’re feeling the holiday spirit just as much as we are! 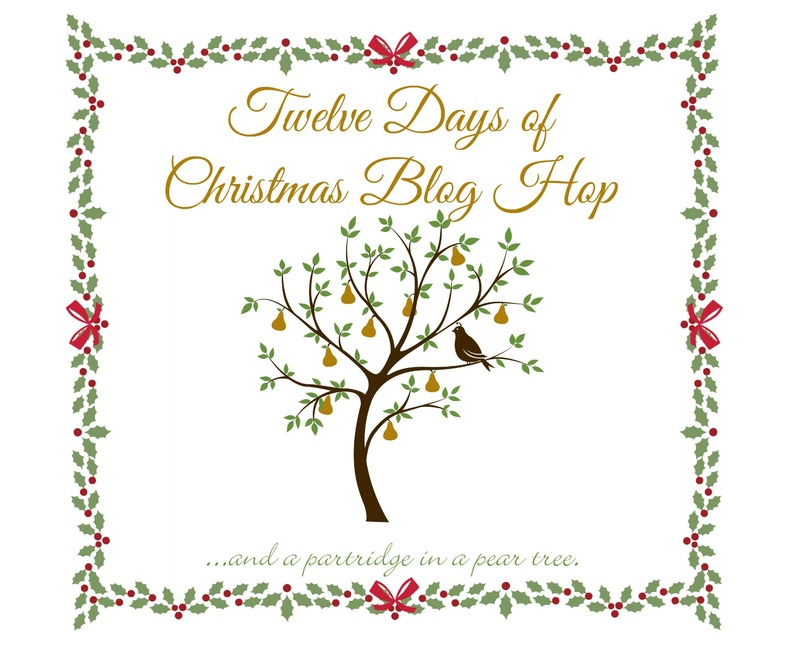 Be sure to keep popping by the other bloggers throughout the 12 days! What a unique way to the bring the outdoors inside with the Christmas spirit. 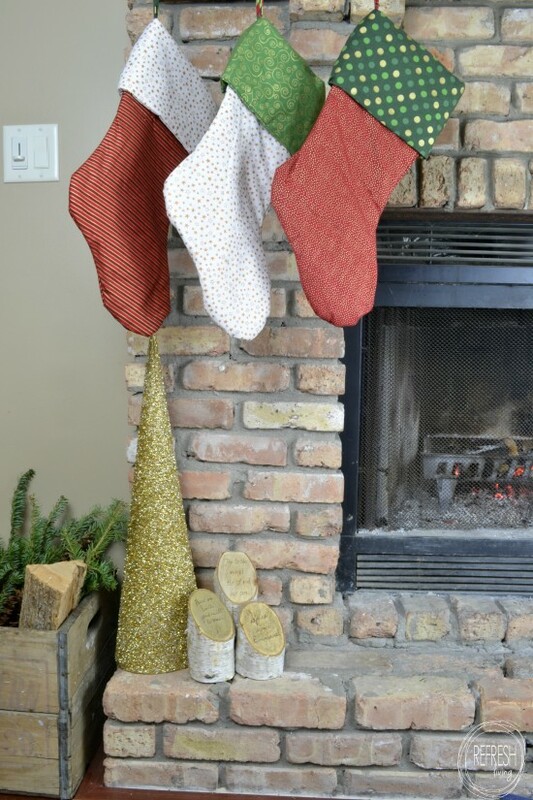 I am loving natural elements this season, so these seemed perfect! 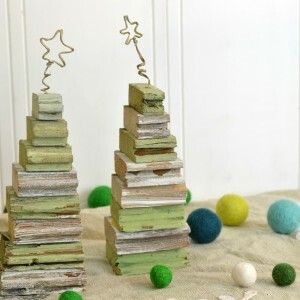 I love this idea- it’s so pretty in a really elegant way! Thanks, Jessy – I loved that it was also fairly easy, too! I love this idea. Anything with wood and a natural look, I love. Pinning and sharing. I just love this!! Thank you so much for being a part of the hop and creating such a beautiful post! Pinned! !